The Supreme Court Friday said it was "averse" to the arrangement of an interim CBI Director and the Centre should "immediately" appoint a regular chief of the probe agency. The post of CBI Director is "sensitive" and "important", and it is not good to keep an interim director of the agency for longer period, the top court observed, seeking to know as to why the government has not made the appointment yet. A bench of Justices Arun Mishra and Navin Sinha was told by Attorney General (AG) K K Venugopal, appearing for the Centre, that a high-powered Selection Committee headed by the Prime Minister would meet Friday to select a new CBI director. "We are only saying that you should appoint CBI director immediately. No more of this in-charge business," the bench told the Venugopal, who said the committee is doing it as soon as possible. 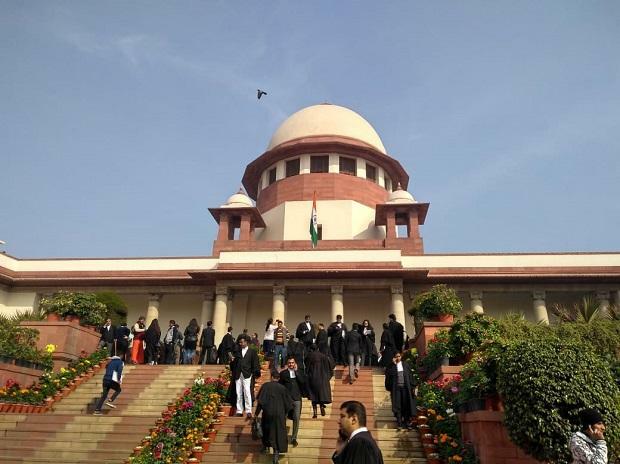 The top court was hearing a petition filed by NGO Common Cause challenging the Centre's decision to appoint IPS officer M Nageswara Rao as the interim CBI director. Advocate Prashant Bhushan, appearing for the NGO, told the top court that 40 officers have been transferred from CBI in last two-three weeks. The bench told Venugopal that the officer who would be appointed as the new CBI Director should examine not only the decisions taken by Rao after taking charge of interim CBI chief but also "trace the movement of files" during the period when IPS officer Alok Kumar Verma took charge of the post for two days on being reinstated. During the hearing, Venugopal placed before the bench in a sealed cover the minutes of the meeting of the high-powered Selection Committee which was held last month for appointing the new CBI chief. The last meeting of the committee took place on January 24 but it remained "inconclusive". Venugopal informed the bench that the Centre had taken the permission of the committee to appoint Rao as an interim CBI Director. The Selection Committee comprises the Prime Minister, the leader of the largest opposition party and the Chief Justice of India or his nominee judge of the apex court. Bhushan told the apex court that besides challenging Rao's appointment as interim CBI chief, the NGO has sought appointment of a regular CBI director and transparency in the entire process. He said the government has no power to appoint Rao as the interim CBI chief as it would be done only after taking approval of the high-powered committee. "But in the event of a vacancy if say someone (CBI director) goes on leave, then how that vacancy will be filled?," the bench observed. "You are 100 per cent correct that appointment should be made by the committee," the bench told Bhushan. At this juncture, the bench asked the AG, "Why you (Centre) have not appointed a regular director so far? CBI director is such a sensitive post. All this is going on since October. You already knew that the person (former director Alok Kumar Verma) was going to retire in January. You should have appointed a new director". Venugopal said the matter was pending before the apex court and a judgement was delivered on the issue last month. He said the committee has already met once and the next meeting was scheduled for today (Friday). The bench told the AG that arrangement of appointing an interim CBI director in the interregnum should not be adopted. "It cannot function on an ad-hoc basis. For seven, 10 or even 15 days we can understand. But not for longer period," the bench said, adding, "CBI director is an important post". To this, the AG referred to the tussle between Verma and the then special director of the agency Rakesh Asthana and said the two senior officers were fighting in public domain. "The CBI was not functioning properly. Not only fighting, they had levelled corruption allegations against each other. That was wholly unbecoming of the CBI officers. We are averse to this arrangement. When are you going to do it? Tell us? Let us post this for Monday and we should not pass any order. The person in-charge is only an in-charge," the bench said. The Attorney General said that in the last meeting of the committee, Congress leader Mallikarjun Kharge, who is a member of the high-powered panel, needed some more details which have been given to him. The bench observed that if a member of the committee wanted to verify something, "it is not bad". Bhushan told the court the Centre's October 23 last year order appointing Rao as interim CBI chief was set aside by the apex court which had delivered a verdict in the case on January 8. "We have read that. The order (appointing Rao) was set aside. Ultimately, it is not an appointment," the bench said. Bhushan said if the permission of the selection committee was taken before appointing Rao as interim CBI director, the issue of his appointment no longer endures. He then argued that there should be transparency in the process of appointing CBI director. However, the bench observed that the January 8 verdict authored by Chief Justice of India Ranjan Gogoi had dealt with the issue of transparency in the selection process and there were several other judgements of the apex court in the issue. "You want an immediate appointment. Let us stop there. Let the appointment be made first. If you have any grievance that the process is not followed and transparency was not there then you can challenge it later," the bench told Bhushan and posted the matter for further hearing on February 6.